MoMaBo´s Kennel procured its first standard poodle, Nelly, in 1992. 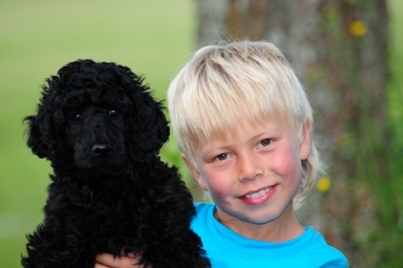 Since then we have run a top-quality breeding operation of standard poodles. Our puppies are raised in family-homes together with our other dogs and where children are also a natural part of their enviornment. 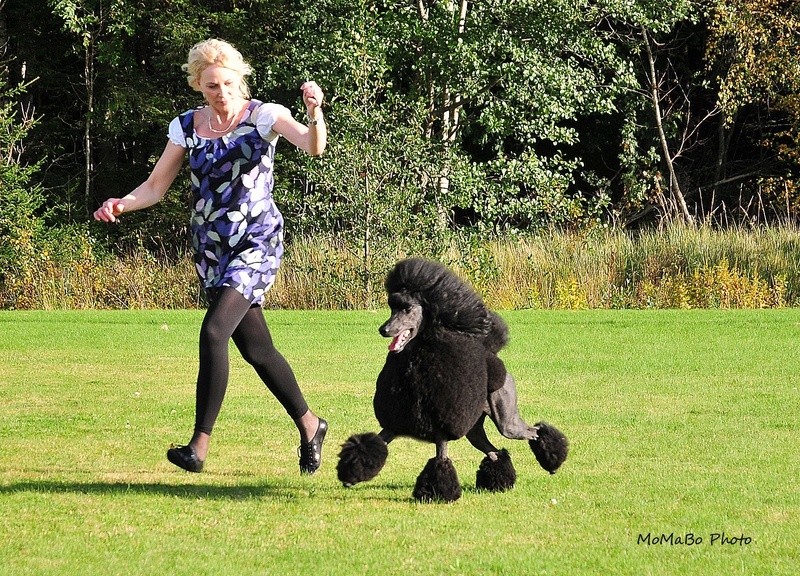 MoMaBo´s poodles has been succsessful and awarded at dog shows with BOS, BOB, BIG and BIS places and still going strong. They are also active and contest in obdience, agility etc. Our goal is to breed and raise glad, beautiful, healthy standard poodles with pleasant dispositions, charisma, style and elegance. Maria Modig, owner of MoMaBos Kennel, lives with her son Nicolas in Bollnäs, in Hälsingland, Sweden, and part-time in Gävle with her boyfriend Marcus. She is a trained animal-keeper, dog-groomer, physio-therapist in dogs and horses and has worked with animals throughout her entire life. She has resided from Skåne, in the south of Sweden to Sollefteå in the north. Maria is passionately inflamed about her poodles and her profession.